China is officially called the People’s Republic of China (PRC), is a sovereign state located in East Asia. It is the world’s most populous country. The PRC is a single-party state governed by the Communist Party, with its seat of government in the capital city of Beijing. It exercises jurisdiction over 22 provinces, five autonomous regions, four direct-controlled municipalities (Beijing, Tianjin, Shanghai, and Chongqing), and two mostly self-governing special administrative regions (Hong Kong and Macau).The PRC also claims Taiwan – which is controlled by the Republic of China (ROC), a separate political entity – as its 23rd province, a claim controversial due to the complex political status of Taiwan and the unresolved Chinese Civil War. China is the world’s second-largest country by land area, and the third or fourth-largest by total area, depending on the definition of total area. China is a recognized nuclear weapons state and has the world’s largest standing army, with the second-largest defense budget. This is only country in the world, where education is compulsory by law for everyone. Its also the fastest growing major economy in the world according to the world bank report. Therefore, it offers great opportunities for the students across the globe to acquire higher education especially in the field of Medical Science. Moreover, some of the Chinese universities are recognized by Medical council of India (MCI). The Ministry of Education (MOE) of People’s Republic of China has forwarded a list of 34 Universities which have been approved to enroll foreign students for the academic year 2010-11, for a six year Undergraduate Clinical Medical Course. The above list is available on Medical Council of India (MCI) website. MOE has also informed that any college/university which is not included in the list of 34 is not entitled to enroll foreign Under-graduate students for Clinical & Oral Medicine to study in China. The MCI will allow students pursuing M.B.B.S. to appear for the exams conducted by MCI for the purpose of issuing legitimate certificates only to those students who have studied in the MOE approved list of Universities. MCI has approved that Internship for such students can be done in India or in China. The visa should be applied online. 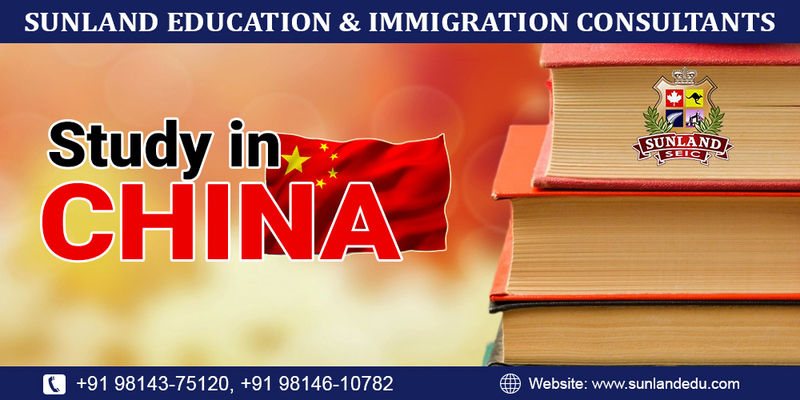 Student Visa (X-visa) is issued to a foreign citizen who comes to China for the purpose of study for a period of six or more months. A foreign citizen who is to study in China for less than six months should apply for a business visa (F-visa). (i)Original passport which has more than 18 months left before it expires from the date of application for a visa and 2 sufficient blank visa pages. (ii) Application Form A & B with a recently-taken color photo glued or stapled on. (iii) A copy of information page of valid passport. (iv) Original and a copy of Foreign Student Visa Application JW201、JW202 Form issued by the Education Ministry of the People’s Republic of China. (v) Original and copy of Admission Notice issued by the university in China. (vi) Foreigners who want to apply for Chinese Medical Internship should provide the original and copy of Application Form for Medical Internship and Admission Notice for training in practice issued by the university in China. (viii) Personal Written Statement (with details as follows: Destination, name, address and contact number of the inviting company or person). The Visa Fees varies from INR 3000 to INR 9000 depending upon single entry or multiple entry, duration of visa and type of visa. NOTE: Visa file is to be filled one month before the start of the course.